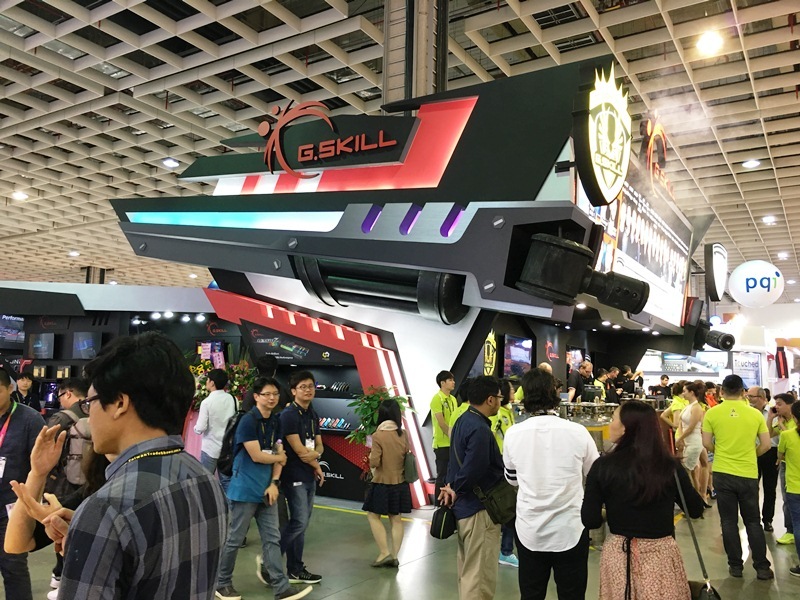 Known for its high-performance memory modules and gaming peripherals, G.SKILL took Computex 2017 as a perfect avenue to show the prowess of its products among visitors. 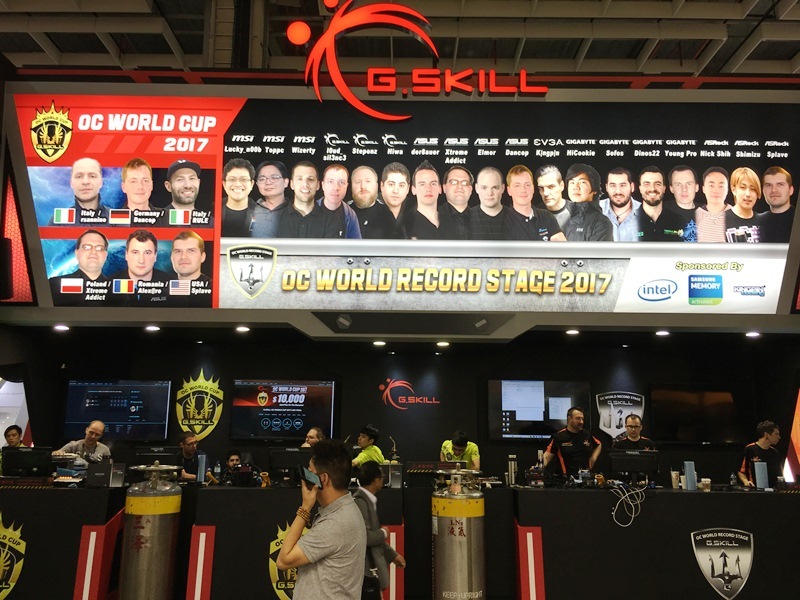 Apart from showcasing products, G.SKILL rounded up some of the best overclockers from different parts of the globe in its fourth edition of the Annual OC World Cup. Winning this year's top prize of USD 10,000 (that's nearly half a million pesos folks!) is Roberto Sannino aka rsannino of Italy with his setup dominating the key tests of the competition which include memory frequency, Geekbench3 - Multi Core, 3Dmark11 Physics, and Cinebench R15. 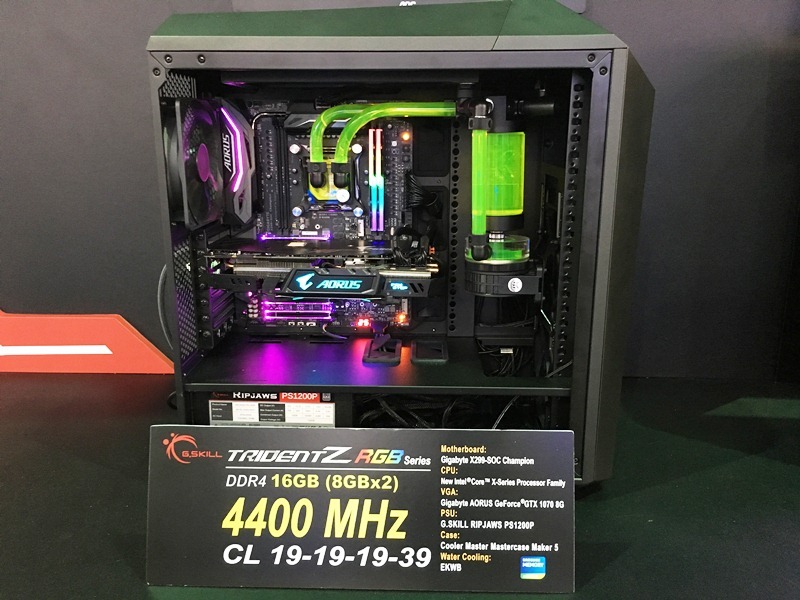 Moving on to the products, G.SKILL rode on the hype brought about by the series of unveilings of Intel X299 motherboards from various vendors at Computex. 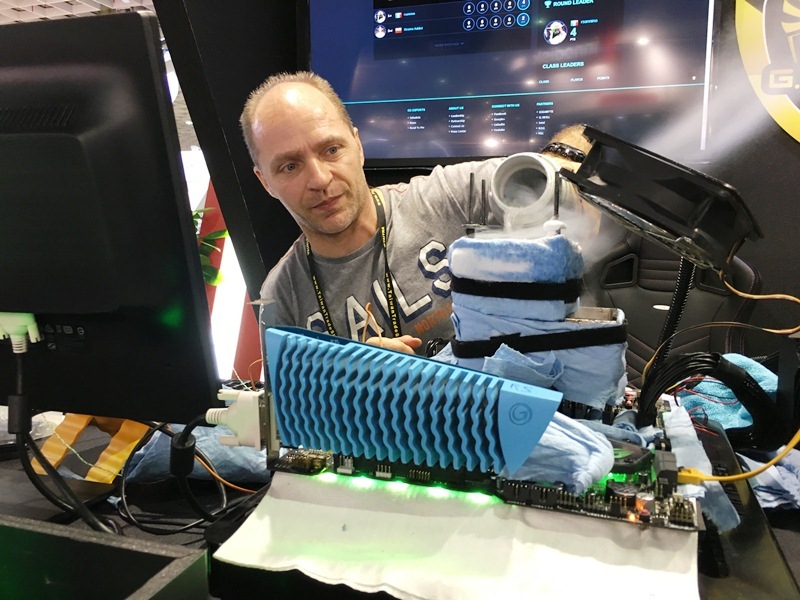 G.SKILL demonstrated the capabilities of its Trident Z DDR4 4800MHz extreme dual-channel kit, boasting that the memory modules were nearly able to hit the 5000MHz mark without liquid nitrogen cooling at low CAS latency timings of CL19-19-19-39 on a platform powered by an Intel Core X-Series processor with ASRock's X299 OC Formula motherboard. 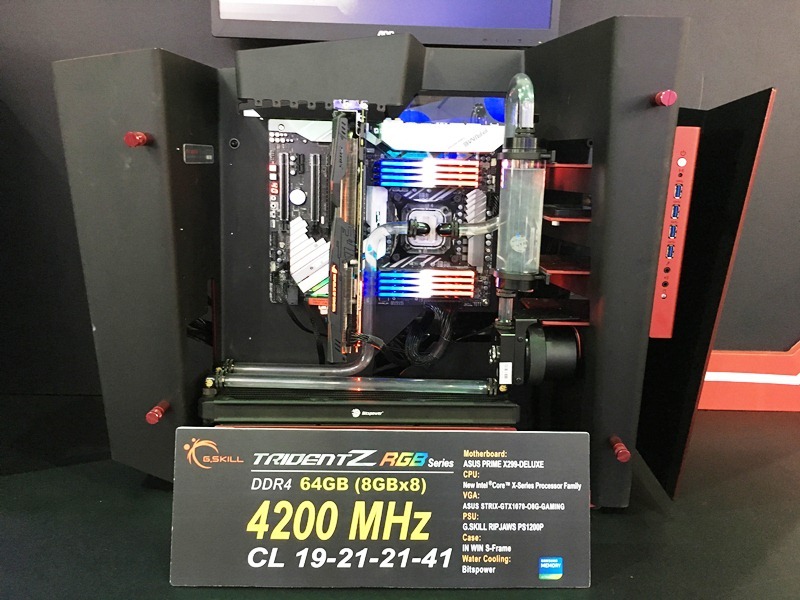 The next fastest setup at G.SKILL's booth showed a Gigabyte X299 SOC Champion motherboard where a 16GB (2x 8GB) kit of Trident Z RGB DDR4 memory modules were overclocked to 4400MHz at CAS latency timings of CL19-19-19-39, proving that the RGB RAMs are not only meant for aesthetics, but also for uncompromised performance. Another overclocking set that took advantage of G.SKILL's Trident Z RGB DDR4 memory modules was the ASUS Prime X299-Deluxe. The kit consisting of a mind-blowing total memory capacity of 64GB (eight 8GB memory modules filling up the board's eight DIMM slots) was clocked up to 4200MHz at CAS latency timings of CL19-21-21-41. 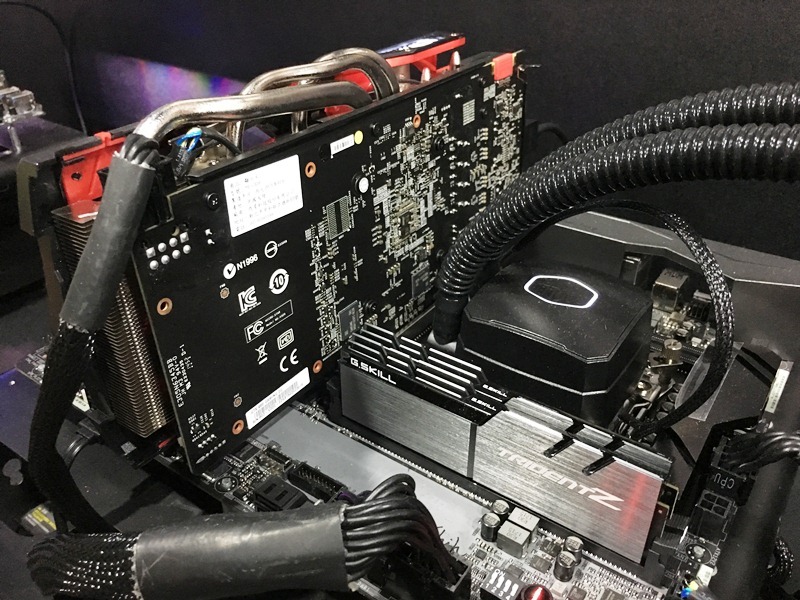 ASRock's X299 OC Formula motherboard was put to the test once more, this time, with a kit comprising of two 16GB Trident Z RGB DDR4 memory modules (32GB) overclocked up to 4000MHz at CL17-18-18-38 CAS latency timings. 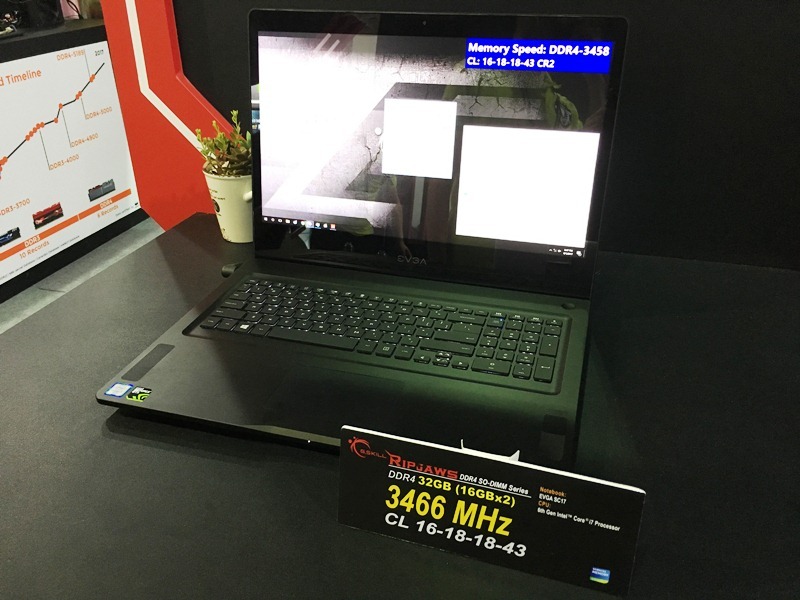 Extending the performance of its memory modules to notebooks, G.SKILL also had a setup showing an EVGA SC17 gaming laptop equipped with a Ripjaws SODIMM kit consisting of two 16GB DDR4 memory modules (32GB). The kit was able to hit 3466MHz at CL16-18-18-43 CAS latency timings.